Acer occupies a rather useful niche in the laptop space. The PC giant tends not to compete with the ultra-high-end systems that many covet but few can afford, and instead straddles that advantageous middle ground between good value and good performance, making it a go-to brand for customers seeking a half-decent laptop that doesn't break the bank. 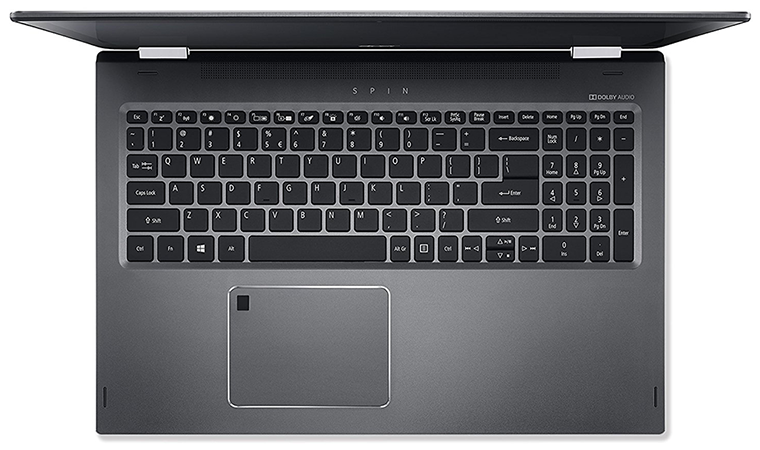 One such example is the 2018 Spin 5, which offers an 8th Gen Intel Core processor in a sleek body priced from £650. Unfortunately, settling on a Spin 5 specification isn't particularly easy. 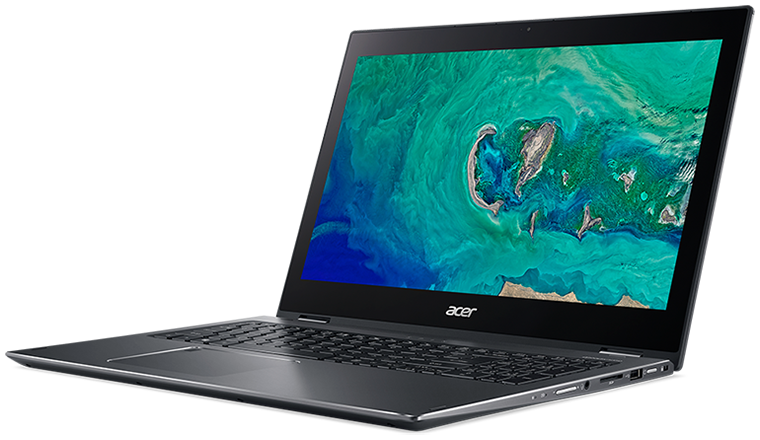 Acer's available models tend to vary significantly between regions, and in the UK there's no option to configure a system to suit your needs; what you see is what you get. 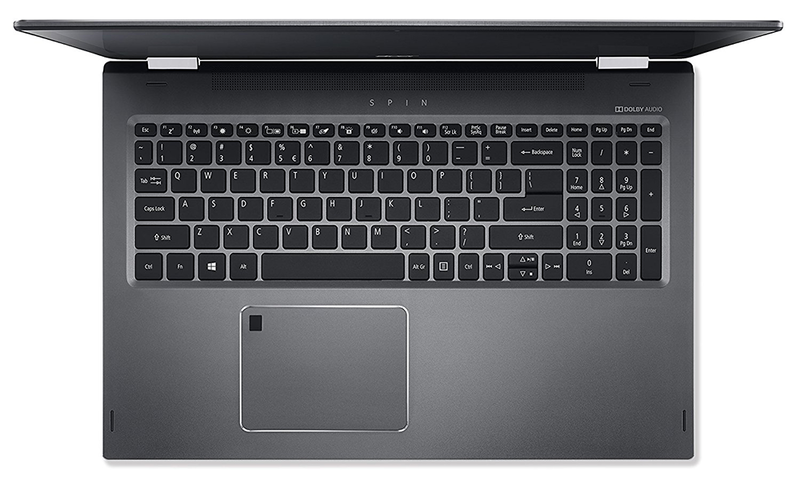 The fact that Spin 5 comes with a choice of display size - 13.3in or 15.6in - only adds to the confusion, but our £800 review sample, dubbed the SP515-51N-56D, seems a decent choice. 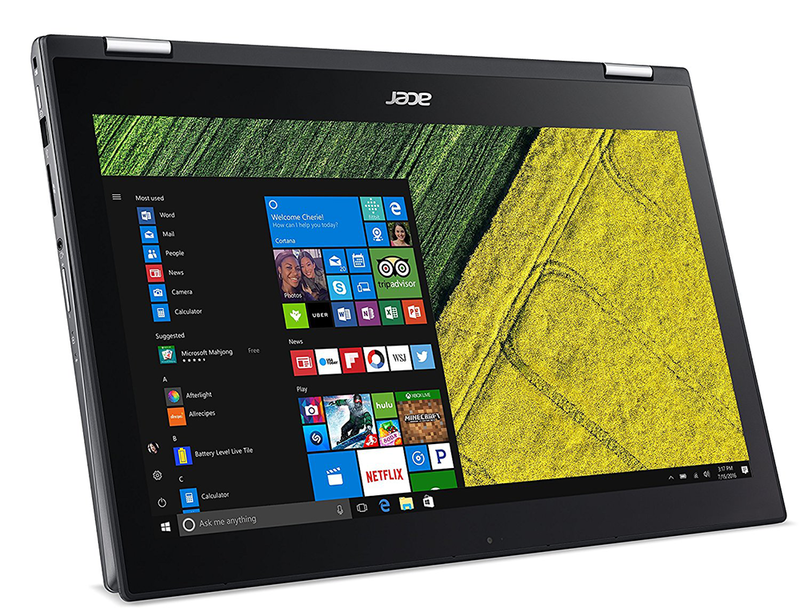 Said machine adopts the larger of the two full-HD screen sizes, resulting in laptop dimensions of 382mm x 258mm x 17.9mm and a weight of 2.2kg. The profile is sleek, however the overall size and weight do limit the appeal of the convertible form factor. As per the name, Spin's party trick is a 360º hinge that lets the user deploy the laptop in tent mode, view mode (pictured below) or as a makeshift tablet. The hinge itself is suitably sturdy and works well without too much adverse wobble, however the choice of usage modes don't feel entirely natural on a 15.6in machine. The form factor is a tad too large to pick up and fold the hinge with ease, it's a little heavy to use as a tablet, and though we suspect the 13.3in variant would benefit from the extra versatility, this larger model is in our estimation best used as a traditional laptop. When considered as such, the 15.6in Spin 5 has plenty going for it. Build quality is decent - there's a bit of flex to the display lid but the keyboard tray is reasonably rigid - and the grey metal casing is both easy on the eye and adept at repelling fingerprints. Spin 5's appearance is familiar, but the innards are new for 2018, with an Intel Core i5-8250U taking centre stage in this £800 spec. 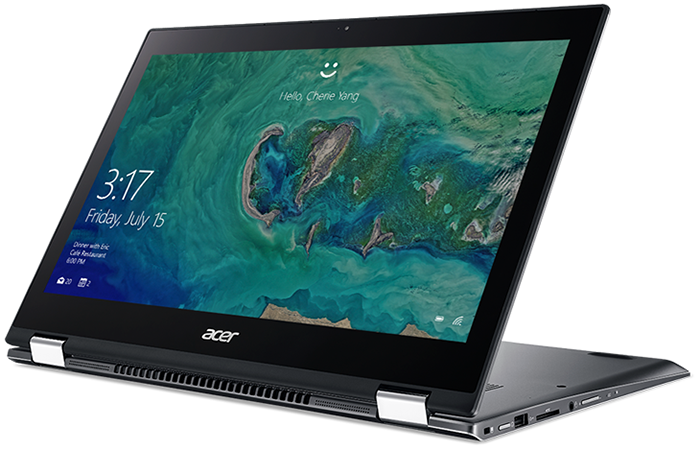 Offering four cores and eight threads, the 8th Gen chip promises to be a significant step up from prior generations and Acer has it paired to 8GB of dual-channel DDR4 memory and a 256GB Micron M.2 SSD. Graphics, meanwhile, are handled by the onboard Intel UHD 620 IGP, and a 48Wh battery promises to keep everything skipping along for up to 13 hours. Want to add a reasonable dose of gaming potential? 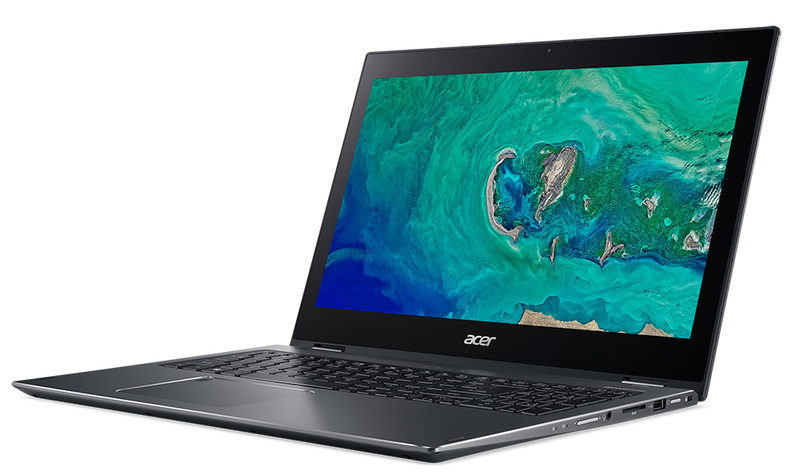 Acer does offer an alternative 15.6in spec priced at £1,100. The additional £300 outlay will buy you a Core i7-8550U processor, dedicated entry-level GeForce GTX 1050 graphics and a 1TB hard disk for additional storage. 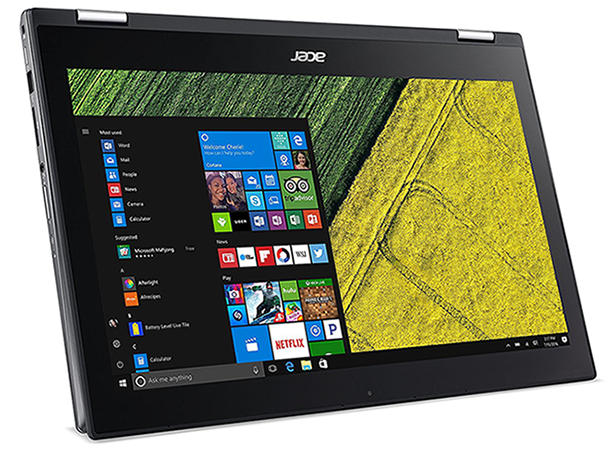 Making good use of the available space, Acer lines the sides of the laptop with a healthy selection of I/O ports. The left side is home to a connector for the external 65W PSU, HDMI, USB 3.1 Type-C and dual USB 3.0. Over on the right side you'll find a volume rocker, headphone jack, SD card reader, USB 2.0, power button and a Kensington lock slot. Spin 5 is relatively short on frills - there's no love for Thunderbolt and the webcam doesn't support Windows Hello - but input is nonetheless well catered for. The backlit keyboard is evenly illuminated, and though the chiclet keys feel a tad cramped due to the integrated numpad, the typing action is pleasant with good travel and a quiet action. 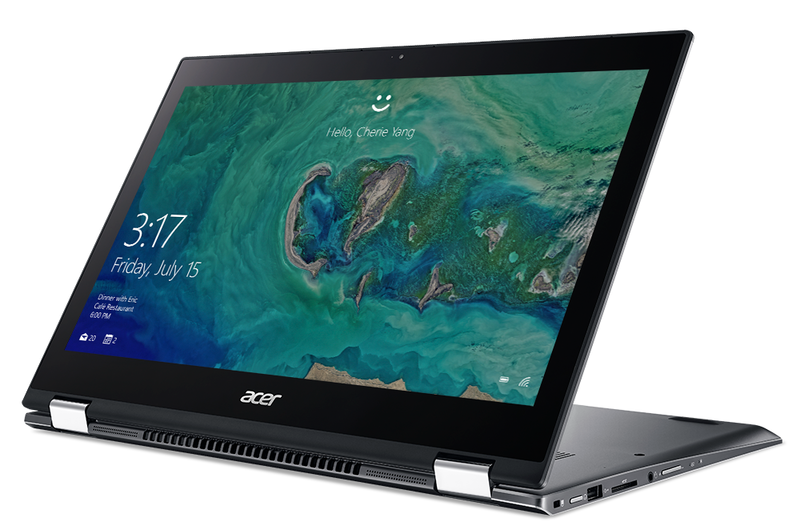 A well-sized precision trackpad responds well to everyday use and packs an integrated fingerprint reader that is reasonably quick, plus the two primary input devices are augmented via touchscreen capability and a bundled Acer Active Stylus Pen. The latter isn't as impressive as, say, a Surface Pen in terms of accuracy or features, yet serves as a useful accessory for anyone taking their first steps into digital inking. Upward-firing Dolby Audio stereo speakers deliver a surprising amount of volume, albeit with minimal bass, but given that Spin 5 is well-equipped in most regards, it's a shame the 1080p display is somewhat basic. We appreciate the fact that touchscreen support is included as standard, and viewing angles are forgiving due to the use of an IPS panel, however limited brightness and a glossy finish conspire to hamper visibility, and the bezels are huge by today's standards. There's an argument to be made for the usefulness of larger bezels on a device that can be used on a tablet, but they detract from an otherwise sleek profile. Similarly, fan noise when the going gets tough is higher than expected, and Acer pre-loads the laptop with a heavy dose of unwanted bloatware. Expect to find frequent pop-ups from the likes of Norton, as well as shortcuts to ebay and booking.com scattered throughout the OS.